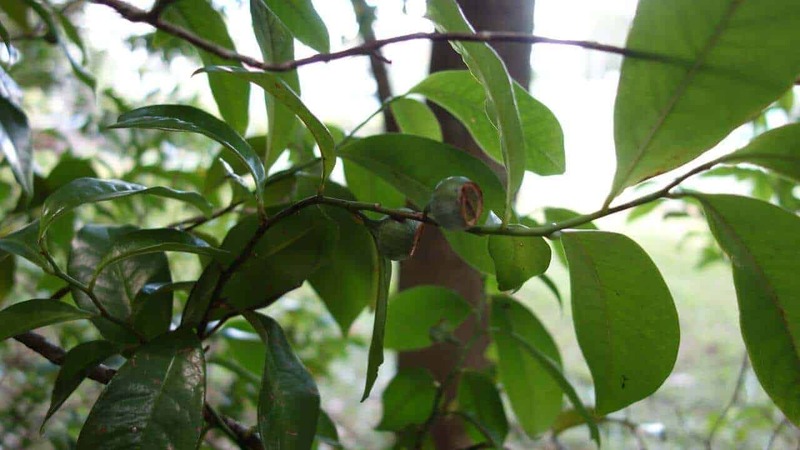 Bolwarra is the Aboriginal name for the Native Guava, a primitive legacy of the first flowering plants of Gondwana. 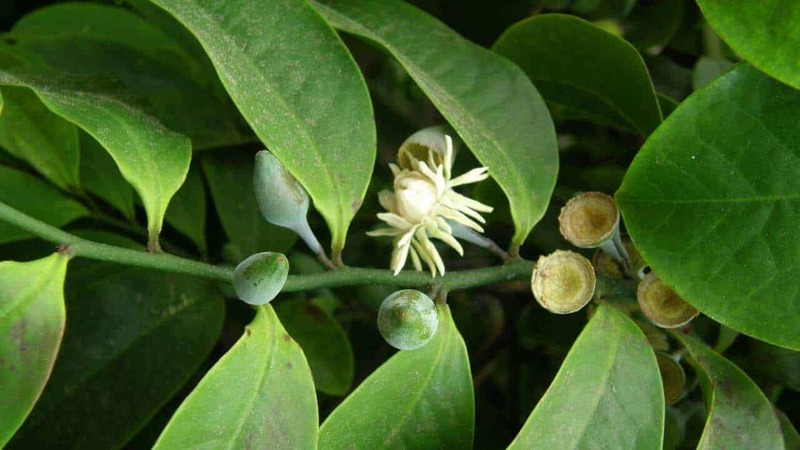 Also known as the Scented Laurel or Copper Laurel, it bears perfumed flowers and very sweet berries. It grows naturally in eastern Australia and New Guinea. 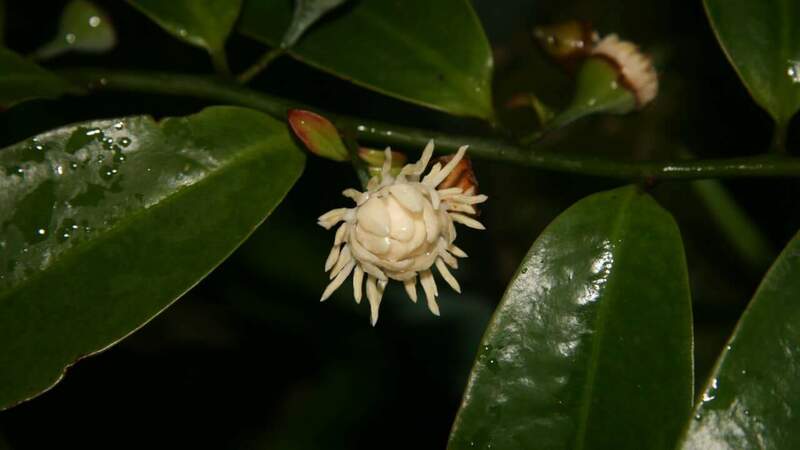 Pale, cream white, heavily scented flowers appear in Summer, followed by urn-shaped berries up to 3cm in diameter. Much like a guava, the sweet creamy pulp is edible, but contains many small seeds. This aromatic fruit is often used as a spice-fruit in cooking and in beverages, jellies, jams and desserts. It can even be dried and crushed, then used as a spice. Berries ripen in Winter, turning from green to brown and becoming soft to squeeze. They are ready to eat straight from the plant if you simply can’t wait to try them. Bolwarra foliage is a bright and glossy green during Summer, and boasts attractive coppery tones in Winter and Spring. This plant tolerates both full sun and part shade, and benefits from mulching and additional watering in dry periods. As this is a rainforest native, protect it from both frosts and hot drying winds. This tropical shrub can grow up to 5m in height and 3m in width, but may be kept small in pots with adequate pruning. My Bolwarra tree was hit by frost! Will it survive? Bolwarra is a sub-tropical plant that prefers warm weather. However, it will tolerate a short, light frost. If your tree was hit by a frost early in the cold season, you’ll need to protect it from further damage. Water your plant well, then cover it with burlap, sheets or a tarp that extends to the ground to trap in warmth – use a frame or stakes to minimise contact between the cover and the plant. How and when should I prune my Bolwarra? Why are the edges of my Bolwarra leaves turning brown? When should I fertilise my Bolwarra?